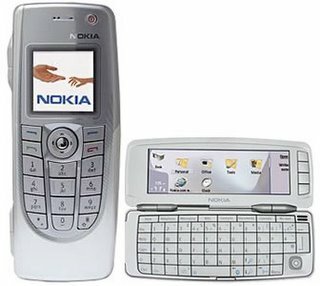 CNET has reviewed tha Nokia 9300 which has a full Qwerty keyboard and 80 MB of memory. It also is a mp3 player and Realplayer. Biosmagazine reports about a wireless switching MP3 player, the D-Chord800 from SigmaTel. This MP3 player supports MP3, WMA and WAV formats. 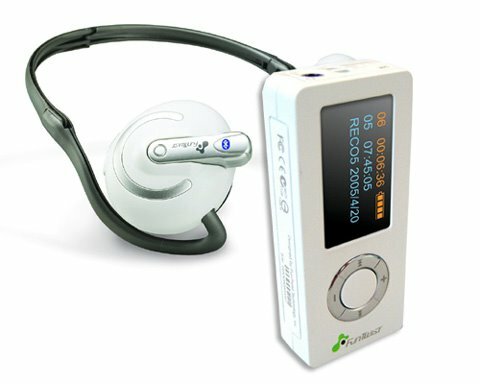 Using the Bluetooth link, the D-Chord800 provides more than 6 hours of playback time and more than 15 hours when using a wired headset, according to the company. This MP3 player makes use of Flash memory and is available in 256 MB, 512MB and 1 GB. The Shower-shower, showeres your shower by pushing a button. So before or after your own shower, you can clean the shower with this product. It's a saving of time because you don't have to take your sponge, chamois and soap: you just heve to push the button! This, lets say mp3 player, relaxes your body and mind through natural sound, music and 7 type colors. Samsung Electronics Co., Ltd., the world's third largest producer of mobile phones, introduces 5 new mobile phones for the European market. The average of the newly unveiled phones are under 15mm and offer the latest multimedia features, such as music playback capability, megapixel camera and Bluetooth connectivity. The lineups include two 3G phones (model: SGH-Z510, SGH-Z540), two slide-up GSM/GPRS phones (model: SGH-D800, SGH-D820), and a credit-card size mobile phone (Model: SGH-P300). Samsung's mobile phone leadership is based on its ability to design phones with innovative form factors, such as the clamshell phones, slide-up phones, and TV viewable landscape phones. This reputation is further cemented by its introduction of phones with ever slimmer designs. It was the first to reveal a 9.8mm slim mobile phone (SPH-N2000) in 2001. The current trend in mobile phone design is moving towards “slim & wide” design. The “slim & wide” design concept offers better portability with its lightweight and thinness, as well as enriches multimedia features in a mobile environment with larger screens. SGH-Z510 and Z540 are the slimmest 3G phones at a depth of 14.9mm. Equipped with a 1.3 megapixel camera and 4x digital zoom, the two phones offers a full spectrum of 3G features, including video telephony, real-time video streaming and video messaging. The SGH-Z510's 2.2-inch QVGA screen displays crisp high-speed video streaming clips. It also includes MP3 playback functionality, allowing users to listen to 3D sound quality music content anywhere and at anytime. The SGH-Z540 is a modernistic and exquisitely designed phone that will attract fashion-conscious consumers and working professionals who desire the many features of 3G in a superior slim design. It holds 150MB of content and supports Bluetooth and USB transfers. The SGH-D800 is a 14.9mm slim slide-up phone that is packed with today's latest technology – 1.3 megapixel camera, document viewer, Bluetooth, PictBridge, and TV-out. Encased in a black and silver metal, it exudes modernity and elegance. At a depth of 15.2 mm, the SGH-D820 is slim slide-up phone with a full line-up of multimedia features. It features a wide (2.12-inch) and high resolution (QVGA) LCD screen and 1.3 megapixel camera. With Quad Band capability, the SGH-D820 is functional across all GSM frequency bands. It also supports microSD external memory. With its modern, premium exterior design, the phone is the best fit for sophisticated business users who desire top-quality features in a sleek appearance. Samsung's SGH-P300 is packed with the most advanced features in an elegant ultra slim package with mere 8.9mm thinness. This easy-to-carry mobile device shares the look and dimension of an ordinary credit card, yet comes with a 1.3 megapixel camera with flash, music player, and video recording capabilities. Its premium feather-light weight and stylish mini design is sure to turn heads everywhere you go. Nicknamed “The Card,” the P300 is perfect for users who desire the most advanced mobile technical features in a slim, unique appearance. All phones will be launched in Europe in the fourth quarter of this year. Providing consumers with a new option for feature-rich mobile communications, Motorola, Inc. (NYSE: MOT), a global leader in wireless communications, and T-Mobile USA, Inc. today announced the on-shelf availability of the Motorola V360 at T-Mobile retail stores and authorized dealers, as well as online at www.t-mobile.com. The sleek Motorola V360 offers advanced functionality and provides consumers with today’s must-have mobile music, imaging and connectivity tools. Designed with EDGE (Enhanced Data for Global Evolution) technology for high-speed data connections, the Motorola V360 is an ideal device for enjoying the features and service benefits of T-Mobile’s content offerings at even faster speeds. Providing mobile consumers with an array of multimedia options, the Motorola V360 houses a Digital Audio Player for playing MP3 and AAC (Advanced Audio Coding) music files, a VGA camera, and video capture and playback. Complimenting the multimedia offerings, users will enjoy Bluetooth® wireless technology, optional expandable memory for additional music files and pictures and AOL, ICQ and Yahoo! Instant Messaging*. 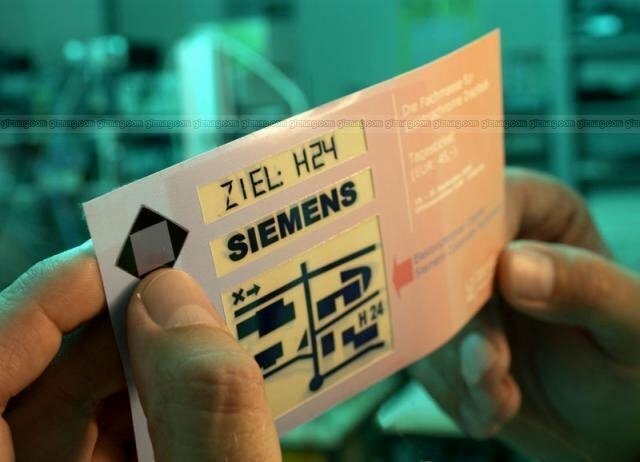 Siemens has launched a new colour display screen that can be printed onto paper or cardboard, it's thin and flexible. The new technology will reach the market in 2007. Siemens reports the flexible mini screens work using "electrochromic substances". 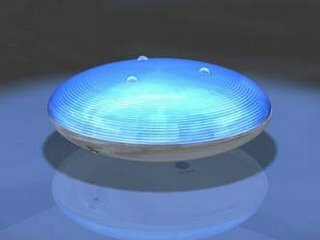 When an electrical charge is administered, absording other light wavelengths than their original state, the colour of the electrochromic substances change. Scientists are still working to optimise the process and its composite material, so that they react quickly enough to display realistic moving images. Nokia today announced that it has started deliveries of the first device in its new Internet Tablet product category, the Nokia 770. The sleek, pocket sized device is Nokia's first Linux-based terminal product and is dedicated to convenient Internet browsing and email communications over Wi-Fi. "We are very excited to start shipments of our first Nokia Internet Tablet device," said Janne Jormalainen, Vice President of Convergence Products, Multimedia, Nokia. "Since announced back in May we have seen huge interest in this device, particularly from the Open Source community." The Nokia 770 Internet Tablet features an impressive high-resolution widescreen display (4.13") with zoom and on-screen keyboard, ideal for viewing online content. Aside from Wi-Fi, the device can also connect to the Internet utilising Bluetooth wireless technology via a compatible mobile device. The device runs on Linux based Nokia Internet Tablet 2005 software edition which is based on popular desktop Linux and Open Source technologies. The maemo web site (www.maemo.org) provides Open Source developers and innovation houses with the tools and opportunities to collaborate with Nokia on future devices and OS releases in the Internet Tablet category. The Nokia 770 Internet Tablet was recently named Best Embedded Linux/Mobile Product or Initiative at the 2005 UK Linux & Open Source Awards. "This is the first step to creating an Open Source product for broadband and Internet services. We will be launching regular software updates. During the first half of year 2006 we will launch the next operating system upgrade to support more presence based functionalities such as VoIP and Instant Messaging", continues Janne Jormalainen. The Nokia 770 Internet Tablet also boasts web browser with flash player, email client, Internet radio, news reader, file manager and media players to enable your favourite Internet services to move with you. In addition to select retail outlets, the Nokia 770 Internet Tablet is available for purchase online through www.nokia.com at an estimated sales price of approximately 350 euros including taxes. The www.nokiausa.com sales channel is expected to open one week later. A full list of features and product software support of the Nokia 770 is available at www.nokia.com/770. Trusted Reviews has reviewed this portable media player (PMP). 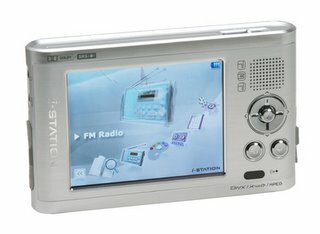 The i-Station i2 is something a little out of the ordinary, not because of its size, screen resolution or storage capacity, but rather because it has a touch sensitive screen much like a PDA.